The Jeep brand has grown to be a very significant one in the automotive industry within the past 70 years during which it has been manufactured. In 2014, over one million Jeep vehicles were sold worldwide. Jeep was hoping to expand during 2014, and met its goal. During 2014, United States sales increased 41% to make for over 690,000 units sold during 2014. The Jeep brand hopes to expand with new models that will contribute to high sales in the future. The United States isn't the only country that experienced a rise in sales; countries in Europe, the Middle East and Africa have experienced them as well. What may have helped with international sales is that outside of North America Jeeps with both right and left-hand drive configurations are available, as well as options with diesel powertrain and types that take different gasolines. New plants will be abound in Brazil and China to produce Jeep Cherokees, and will only increase international sales. Fiat Chrysler Automobiles is happy about this planned expansion, as they have been making to look their vehicles more available across the globe. Mark Manley, President and CEO of the Jeep brand, has commented on this sales increase, saying this was the fifth year in a row that sales have risen, and that he is very satisfied. 2014 was certainly a breakthrough for the Jeep brand, on top of 2013's record sales. Although the Grand Cherokee, Cherokee and the Wrangler were the sales leaders, all models increased in sales in 2014. What may have helped with the increase in sales is that many 4x4 systems are available for all-weather capability. Rock- and Command-Trac assist the driver in getting over rocks and provide the SUV with more traction. Freedom Drives I and II help the driver get through hydroplaning and tough terrain problems. 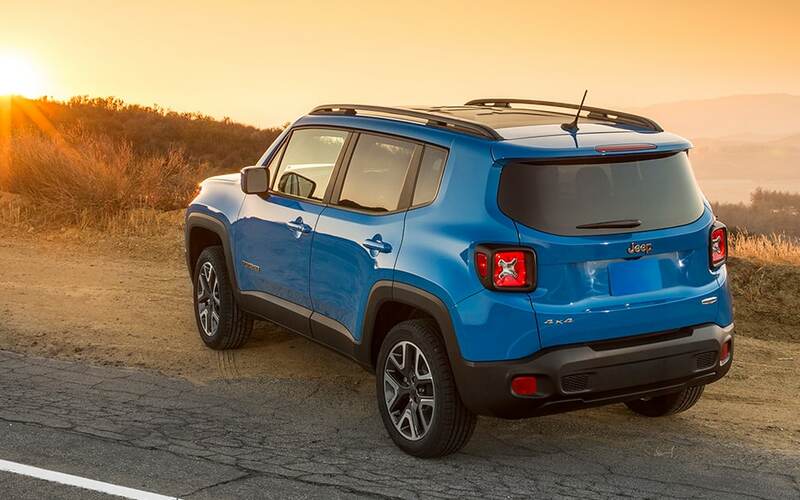 The Jeep Renegade, a small SUV manufactured in Italy, is new for 2015, and it is anticipated that this new model will only increase Jeep brand sales. It is geared towards younger drivers, such as high schoolers, and has already experienced excellent sales in Europe by being sold over 9,000 times in the last two months of 2014. As a vehicle ideal for people who like to travel, explore the outdoors and the natural elements, the Jeep brand makers have clearly come up with some kind of strategy to keep sales going strong for years.